Surviving the Storm is all about the music as each song serves an emotion-filled purpose. The crashing waves of an ocean storm, peace and calm after a storm, confusion, reflection, dreams, and hope are conveyed through the music on this album. Music has the unique ability to turn suffering into comfort, worry into peace, and doubt into hope. Composed, performed, and produced by Paul Meadors. Orchestrated by Kevin Memley. Surviving the Storm is in essence about the music. Each song serves an emotion-filled purpose. The crashing waves of an ocean storm, peace and calm after a storm, confusion, reflection, dreams, and hope are conveyed through the music on this album. Everyone has gone through difficult times in life. Everyone has their own story to tell. 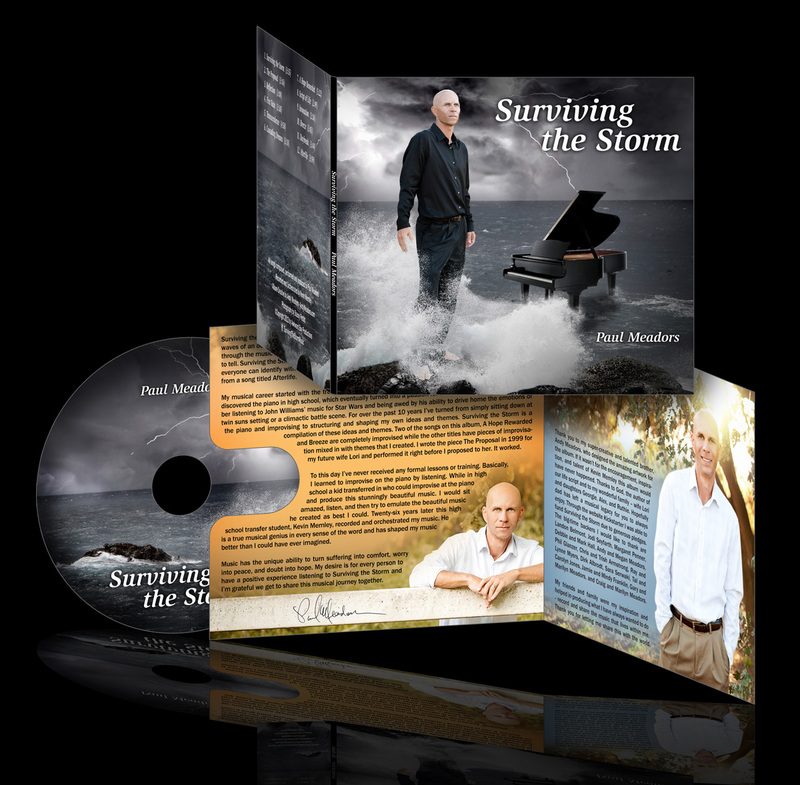 Surviving the Storm is a listening experience that evokes a wide range of these emotions – emotions that everyone can identify with. The album starts off with a thunder crash and ends with a soft chord progression from a song titled Afterlife. My musical career started with the trumpet in sixth grade. This began my love for instrumental music. Then I discovered the piano in high school, which eventually turned into a passion for movie soundtracks. I can remember listening to John Williams' music for Star Wars and being awed by his ability to drive home the emotions of twin suns setting or a climactic battle scene. For over the past 10 years I've turned from simply sitting down at the piano and improvising to structuring and shaping my own ideas and themes. Surviving the Storm is a compilation of these ideas and themes. Two of the songs on this album, A Hope Rewarded and Breeze are completely improvised while the other titles have pieces of improvisation mixed in with themes that I created. I wrote the piece The Proposal in 1999 for my future wife Lori and performed it right before I proposed to her. It worked. To this day I've never received any formal lessons or training. Basically, I learned to improvise on the piano by listening. While in high school a kid transferred in who could improvise at the piano and produce this stunningly beautiful music. I would sit amazed, listen, and then try to emulate the beautiful music he created as best I could. 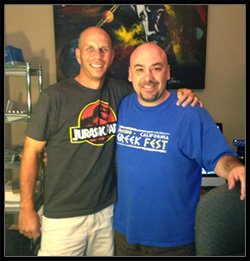 Twenty-six years later this high school transfer student, Kevin Memley, recorded and orchestrated my music. He is a true musical genius in every sense of the word and has shaped my music better than I could have ever imagined. Music has the unique ability to turn suffering into comfort, worry into peace, and doubt into hope. My desire is for every person to have a positive experience listening to Surviving the Storm and I'm grateful we get to share this musical journey together. Thank you to my super-creative and talented brother, Andy Meadors, who designed the amazing artwork for the album. If it wasn't for the encouragement, inspiration, and talent of Kevin Memley this album would have never happened. Thanks to God, the author of our life script and to my wonderful family – wife Lori and daughters Georgie, Alex, and Ruthie. Hopefully dad has left a musical legacy for you to always enjoy. My friends and family were my inspiration and helped in producing what I have always wanted to do - record and share the music that lives within me. Thank you for letting me share this with the world. 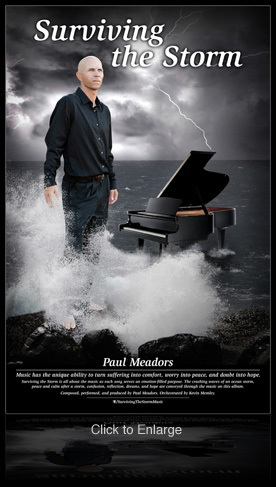 "Paul Meadors' "Surviving the Storm" blends musical tones into a collage of beauty, escape, and sincerity. Paul's passion is inviting and disarming, allowing you to take a part in experiencing his story within the first few notes. As you journey into his creation, may you be blessed and revived by his artistry and skill." 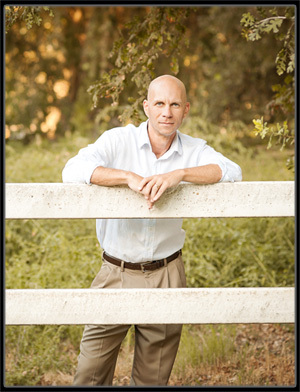 Paul Meadors is an elementary school teacher, coach, and athletic director, living in Fresno, CA. He has three young daughters named Georgie, Alex, and Ruthie and is husband to Lori. 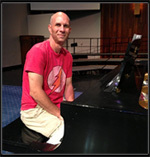 He picked up playing the piano in high school and with no formal piano training learned to improvise. He played varsity basketball and baseball in high school and his senior year his basketball team was one point away from playing in the California state championship game in 1989. He also played the trumpet and received an instrumental and vocal music scholarship to Fresno Pacific College where he graduated in 1994. An avid collector of Star Wars memorabilia, movie soundtracks, and vintage pinball and arcade games, he is also the author of the humor book, LETTERS TO EBAY, which was published by Warner Books in 2007 under the pseudonym Art Farkas. One of his dreams has been realized as he is a regular guest on the local ESPN radio affiliate talking mostly about fantasy baseball and football. 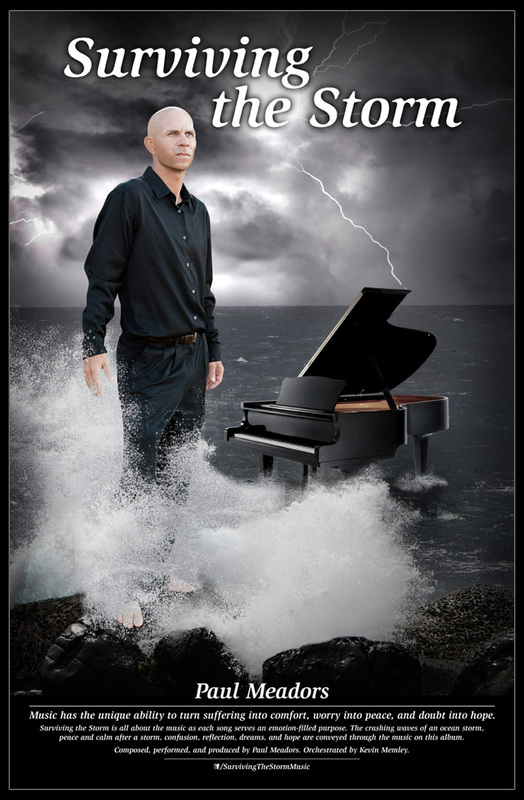 His passion for music, however, is a staple of his life and he is excited to share it with the world with the release of his piano album Surviving the Storm.